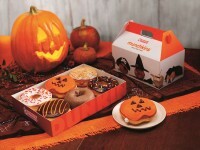 Dunkin’ Donuts has released several new items that are available only for a limited time this October. 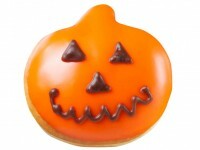 The most noticeable addition is the Halloween Pumpkin Donut shaped like a jack-o-lantern. 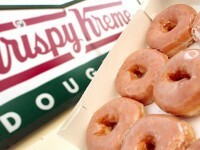 The donut has orange icing with chocolate icing for the face, and is buttercreme filled. 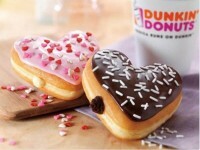 Dunkin has also released a couple new food items. The Snack N’ Go Chicken Wrap is a wrapped tortilla filled with chicken and ranch sauce with bacon and cheddar cheese. The Spinach Artichoke Supreme Bagel is a bagel with spinach, artichoke and cheese topping. 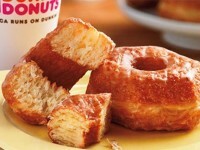 Dunkin has also brought back a fall favorite the Salted Carmel Hot Chocolate, this delicious drink is a sweet and savory. 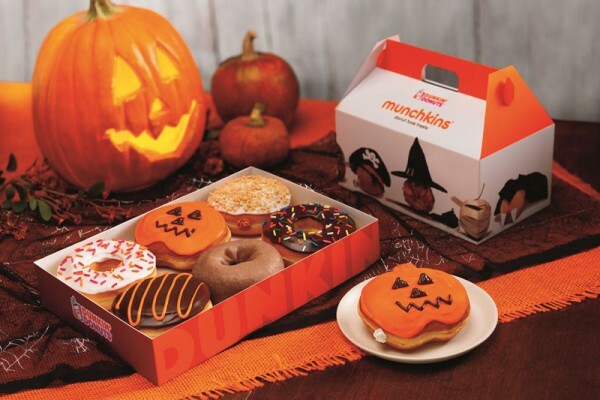 Additionally, Dunkin is also releasing some pumpkin flavored items, including the Pumpkin Pie Donut, Pumpkin Creme Brulee, Pumpkin Coffee, and Pumpkin Muffins. It sounds like Dunkin has you covered for all of your pumpkin needs this fall.